The list continues to grow. There’s not one that really sticks out. And not one that we completely agree on. At least we have a little more than two and half months left to think about it. 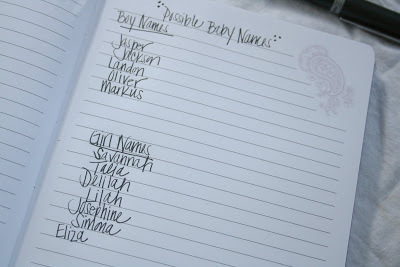 The post Baby Names appeared first on Darling Darleen | A Lifestyle Design Blog .